Natural gas and crude oil have been recovered and used as a cheap, reliable source of energy throughout the 20th century through today. Industrial scale recovery of these resources in the United States started in the mid-1800s when the first modern cased wells were installed, and refineries were constructed to extract useful fuels and compounds from crude oil. U.S. production of crude oil increased steadily until peak oil production was reached in 1970. Although the U.S. had large reserves of oil that have not been produced in 1970, recovery of fossil fuels was not economically viable due to the low recovery volumes by natural geology. U.S. oil production declined until 2008 when market prices were high enough and hydraulic fracturing (fracking) drilling technology became economical to profitably extract natural gas and oil from these low yielding reserves. 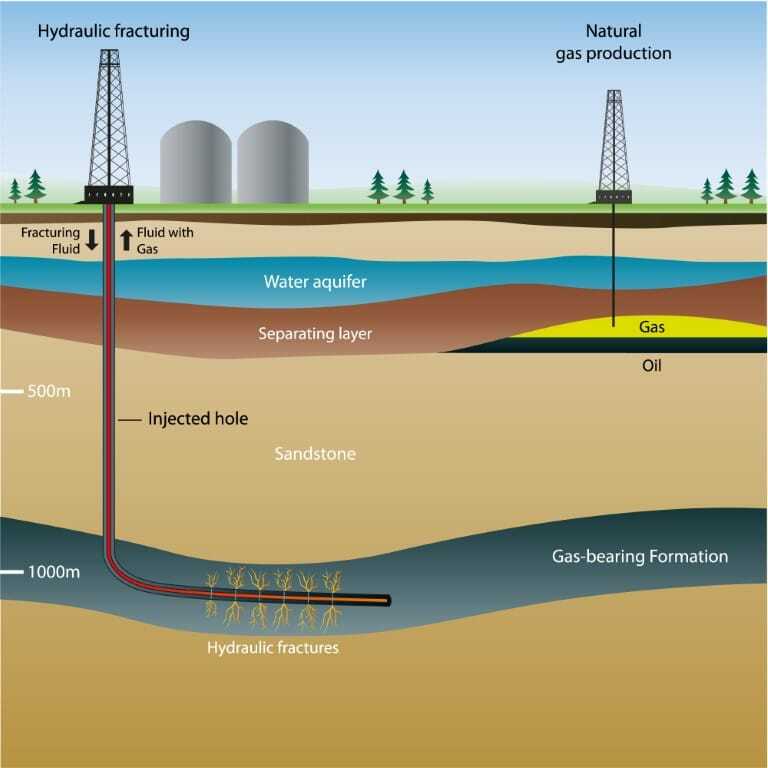 Hydraulic fracturing, also known as fracking, is a well stimulation technique in which rock is fractured by a pressurized liquid. Fracking wells are installed using traditional vertical and horizontal drilling technology. What makes fracking different from traditional natural gas and oil recovery wells is the injection of fluid into the borehole at high pressures. This high-pressure fluid fractures the rock surrounding the borehole, which increases the surface area that oil and natural gas can be extracted from within a formation. Once the rock is fractured, oil and/or natural gas-laden production water is pumped from the monitoring well into storage tanks where the fossil fuels are separated from the water. The remaining drilling fluid, commonly referred to as brine, is either re-used at the wellhead or disposed of off-site while the natural gas and oil are shipped to refiners and wholesalers. As with any industrial process, there are many potential pathways where a hazardous material can be released into the environment. The releases occur as a result of equipment failure, accidents, or operator error. Regulatory agencies require that the responsible parties remediate these losses in an expeditious manner to protect human and ecological health. One of the most common types of fracking-related releases VERTEX encounters is associated with releases of drill brine to the ground surface. Drill brines are hazardous to the environment due to their high chloride content, low concentrations of petroleum compounds, and drilling additives that were added to the drilling fluid. Although drill brine releases can occur at the wellhead, they are most commonly seen as a result of equipment failures at brine disposal wells or transportation accidents (i.e. vehicle crashes, pipeline failures, etc.). When drill brine is released to the surface, it tends to impact large areas and the brine is readily absorbed by soil due to the aqueous nature of the material. These brine releases can reduce/eliminate the productivity of cropland and adversely affect sensitive ecosystems. Cleanup of brine releases is typically focused on the removal of chloride impacted soil and groundwater and commonly exceed $100,000. Another less common environmental release unique to fracking operations is suspected wellhead failures. These suspected failures are most commonly reported in formations where natural gas is the primary driver for the fracking operations. Potential wellhead failures are commonly identified when residents notice an intrusion of natural gas into a site building or fouling of potable groundwater as a result of natural gas formation. Since many of the natural formations that produce natural gas are co-located with shallow coal-bearing formations which also produce natural gas, there is often a question of whether or not the natural gas is related to a failure of a fracking well or an intrusion from a shallower, unrelated source. Investigations of these suspected failures can be costly and take long periods of time to complete. When a state regulatory agency identifies a potentially responsible party, the initial remedial actions completed typically included property mitigation (providing alternate sources of water, building venting, etc). 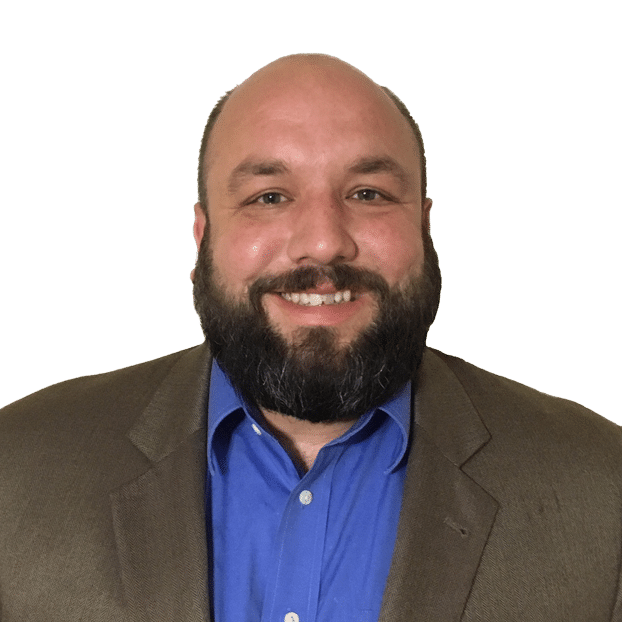 A potentially responsible party is typically required to maintain the property mitigation measures until the true source of the intrusion is identified. If it is determined that a fracking well was responsible for the intrusion, then the well is either repaired or taken off-line. VERTEX has a team of environmental professionals that have the appropriate training to investigate petroleum and brine releases from fracking incidents, determine the necessary response activities, the extent of the impacts, identify any potentially responsible parties, and can determine the appropriate remedial efforts and regulatory reporting necessary to correct the environmental condition. To learn more about VERTEX’s Environmental Consulting and Environmental Claims Consulting services or to speak with an Environmental Expert, call 888.298.5162 or submit an inquiry.